And so the story begins. Christmas Eve in my family means a fancy dinner, church and opening gifts. Each year has it’s own version. Sometimes church is early so the kids can go to bed at a ‘decent hour.’ Sometimes worship is in communities we are familiar with and other times we worship as visitors. The gift giving changes from year to year. In my younger years, the gifts were central to Christmas. As our family grows our gift giving has morphed from more to less. Today just being together, sharing stories and traditions, takes center stage. And our lives are interrupted. Most every year something interrupts our life during the holiday season. Sometimes it’s coming down with the flu on Christmas; other times it is weather delays. Often we travel from our homes and rearrange our schedules. Friends visit, we gather, we take time off of work. Some of the interruptions are minor; others are major. Our family knows both. There was the year our family was in California and had a Jewish guest. (A memorable year in our family!) There are the Christmases of firsts – engagements, marriages, grandchildren…and so on. The year my brother Scott died ranks highest in interruptions. This year my daughter had ankle reconstruction surgery this morning. Not the ‘normal’ Christmas at our house. Christmas is filled with interruptions. And the good news breaks in. No matter how the tradition plays out, or what interruptions happen, Jesus comes. In those days and today, the the message of Jesus coming reaches into our lives. And the message, familiar as it is, is always new. Last night, after a great two and a half hour dinner with colleagues, I went to my car and discovered it had been broken into. The back window broken and my briefcase…with laptop and student’s final papers…gone. Stunned, I returned to the restaurant to talk with the hostess, call the police and then returned to my violated car for my drive home. Last night’s disbelief turned into a day filled with calls to file claims, get repair work done and trying to figure out what I can actually recover and what’s gone for good. I’ll make it. The physical things will be replaced or repaired. Much of my work lives somewhere in virtual space. The biggest loss is my writing from this summer’s leave…work ‘in process’ but not finished. For that I’ll grieve and move on. The first question that entered my mind last night has become the nagging one … Who does this? More than my loss, I was reminded of the brokenness of our world – a brokenness which lives right beside much goodness. And that’s the message of Christmas. God entered a world where brokenness and goodness live alongside each other. Sometimes goodness interrupts brokenness, and sometimes it is the other way around. Today, I’m praying for those who are in such a broken place that they have to break into cars. And I’m praying for those who know loss on a personal level today. Thanks God for coming into this world, such as it is. Dec. 15 – if you could add a holiday…. If you could add a holiday to the calendar, what holiday would you add? Take a few minutes and think about it. What rituals or traditions would go with it? Would there be special foods? Any songs? Now listen to what others think. 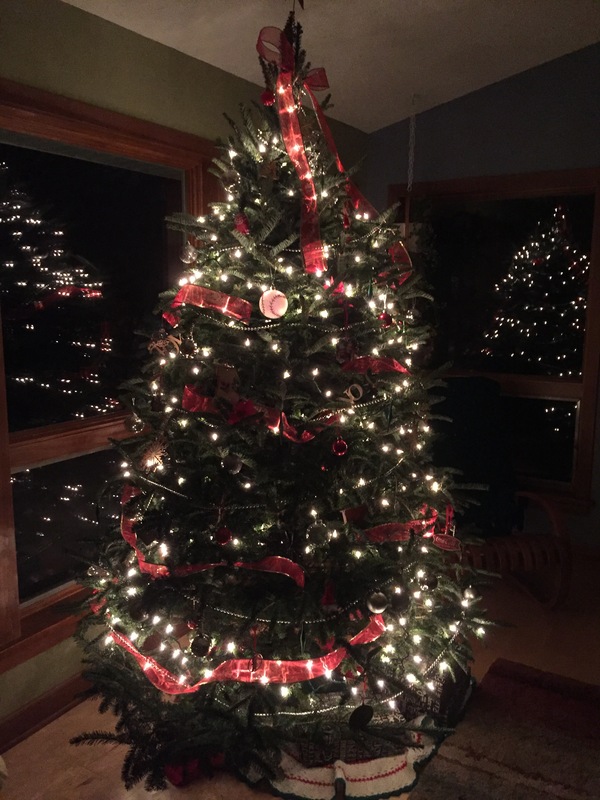 Dec. 10 – Christmas Time is Here? I can relate to the opening scene from Charlie Brown Christmas. (If you want to remind yourself of the opening, click on the link below.) Today, I don’t feel much in the mood for Christmas. The past few days have been a bit melancholy and yesterday tipped the scales as I read a friend’s first CaringBridge post. At work, at church and in the community…are people for whom this will be their first Christmas without their loved one. Some of the grief is fresh, for others it’s almost a year into the process. Regardless, this year will be the first. Their wounds may not be visible, but their pain is real. Having experienced a brother’s death just before Christmas, I can’t overlook these moments in life. But hope, the hope Christmas proclaims, was meant for times like this. Yes, even for Charlie Brown who can’t quite figure it out. Today this hope came alive for me in a reading from Isaiah, a preacher speaking hope out of a raw sense of loss and in singing a familiar Christmas carol rewritten. Let the words of this song, adapted from the words of Isaiah, speak to you this day. O come, O come Immanuel/And bless each place your people dwell/Melt every weapon crafted for war/Bring peace upon the earth forever more. O come, green shoot of Jesse, free/Your people from despair and apathy/Forge justice for the poor and the meek/Grant safety for the young ones and the weak. O come now, living water, pour your grace/And bring new life to every withered place/Speak comfort to each trembling heart/Be strong, fear not, for I will ne’er depart. O come, dear child of Mary come/God’s Word made flesh within our earthly home/Lord story within the womb of night/Revenge and hatred put to flight. Refrain: Rejoice, Rejoice! Take heart and do not fear. 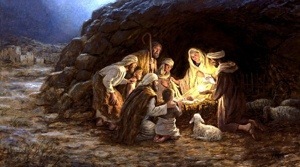 God’s chosen one, Immanuel draws near. Everywhere I turned these days, there it is. Music. And more specifically, Christmas music. Yesterday in worship the children told a version of the Christmas story in song. Working out at the Y, I overhead people talking about how they love listening to Christmas music on the radio. And Facebook has been filled with creative versions of traditional Christmas songs. Growing up, singing Christmas carols was one of our holiday traditions. No, we weren’t that good …no four-part harmony or anything … but singing was one way our lives found themselves in the Christmas story. Different songs held different meaning and each of us had our favorites. For example, ‘I am so Glad each Christmas Eve’ was Grandpa Olga’s favorite and she taught it to all the grandkids in Swedish. To this day I can’t sing it without remembering her and her strong faith. What if music was taken out of the holidays? What if the radio stations stopped playing carols? What if children didn’t sing the Christmas story in worship? What if people stopped gathering around pianos in living rooms debating which Christmas song was the best? I’ve got two challenges for you. First, try going a day without listening to Christmas music. Then reflect on what that was like. Second on another day seek out some special Christmas music and listen, really listen. I can’t help you with the first, but I can offer a couple of options on the second. Growing up it wasn’t Christmas unless I’d made several gifts. As a child, the homemade gifts were simple, certainly not masterpieces. Although simple in nature, the ‘spirit’ of the gifts was priceless. As a child I didn’t think about the quality or worth of the gift. All that mattered was I had created it! As I got older, I was less carefree and more concerned with the quality of the gift. And my imagination narrowed. Today, as an adult I still make some gifts, but the carefree spirit I had as a child is gone. What would it take to get some of that back? A few weeks ago I came across this video and it challenged me to lighten up and try to recapture some of my childhood creativity. Watch it and see what you think. Dec. 3 – What is LOVE? More than Valentine’s Day, the holidays center on love. But what is love? (And how does one describe love?) Our question for today centers on love. As you think about love, do you think about fancy parties and perfectly wrapped gifts? Or do you think of sticky kisses and cards made with crayons, construction paper and lots of glue?